Two more Comodo registration authority accounts compromised ! The Iranian hacker that managed to trick Comodo into issuing nine fraudulent certificates appears to have compromised two more registration authority accounts, raising questions of what exactly is going on at the certificate authority. “Two further RA accounts have since been compromised,” wrote Robin Alden, CTO of Comodo Security, on the mozilla-dev-security-policy mailing list. The partners have had their registration authority privileges withdrawn, Alden said. Alden made the announcement in an email addressing questions posed by the members of the mailing list. “No further mis-issued certificates have resulted from these compromises,” Alden said. The self-identified Comodo hacker (writing under the name Janam Fadaye Rahbar) claimed in a follow-up message on Pastebin to have “owned three of them [Comodo partners],” and not just the Italian InstantSSL.it partner that was mentioned earlier. Rahbar said InstantSSL.it had more code and more domains, making it seem like “they are more tied with Comodo”. Rahbar also published the private RSA encryption key for Mozilla’s addons domain, which corresponded to the publicly available fake SSL certificate, said Paul Mutton, a security researcher at British security firm Netcraft. “Only Comodo, the affiliate, or the hacker could have known this secret key,” said Mutton. He warned that the publication of the key means there is a chance of man-in-the-middle attacks against Mozilla Add-ons users. Users should be protected if they were using the most updated version of the browser, he said. A number of security professionals on the mozilla-dev-security-policy were clearly fed up with what they saw as an on-going trend of mistakes by the certificate authority. “Comodo had several opportunities to show that they are willing to change,” Paul van Brouwershaven, CTO of Networking4All, a Dutch hosting and security provider, wrote on the mailing list and forwarded to eWEEK. “They have showed over and over again that they are not willing to take the responsibility that a CA should have,” he said. Despite claims by Comodo CEO Melih Abdulhayohlu that Comodo strictly checks and verifies applicants are who they claim to be, Alden’s email hinted that was not always the case. 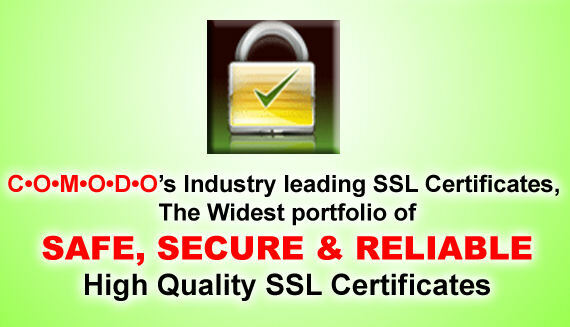 At the time of the Comodo hack on March 15, nine percent of Comodo partners could place SSL certificate orders using their own domain control processes instead of Comodo’s, Alden wrote. Comodo’s process consists of sending and confirming the receipt of an email to an address on the domain to be validated or to the address listed on the domain’s WHOIS entry. Alden said the compromised partner was allowed to implement a separate process because the RA “did a good job of validating domain control”, had a “good and close relationship” with a small number of customers, and “spoke the same language” as those customers. Comodo had given the partner leeway because it had not considered that attackers might compromise the partner, Alden said. Comodo now requires all “100 percent” of registration authorities to use the Comodo-driven process or have Comodo handle the validation, Alden said. Abdulhayoglu recently told eWEEK that Comodo requires applicants to verify their identity and domain ownership, such as by submitting a notarised letter. “In the case of Comodo they have enough incidents to prove they are not able to run a proper CA and bring the whole internet community in danger,” said van Brouwershaven. Comodo reportedly issued bad certificates for Mozilla back in 2008, according to Paul C Bryan, also on the list. Does Three Strikes Mean Out? The issue boils down to a matter of trust. Abdulhayoglu had frequently railed against other certificate authorities for “weakening the padlock, [SSL certificate on the browser]” because they do not perform any validations and just rubber-stamp applications. For van Brouwershaven and others, the trust issues lay directly at Comodo’s feet. “Who will trust the CA model in general if we do not pull the root from all the browsers from a CA that is clearly not able to do the job?” van Brouwershaven wrote, noting that the whole model depended on being able to remove problem roots. Bryan noted there was no incentive for browsers to act, since pulling the root authority would potentially breaking “thousands of so-called secure web sites.” Such a move would be especially “unattractive to browser vendors, who have consistently avoided adversely affecting the experience of their users,” Bryan wrote. For that kind of a boycott to happen, a consortium of browser vendors would have to work together collectively to make such decisions, Bryan said.